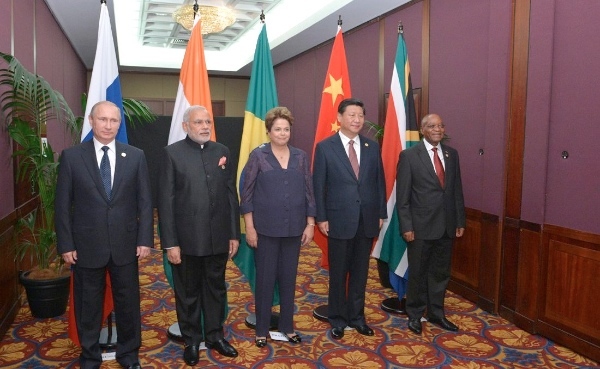 There’s an awful lot on tap for the upcoming annual BRICS summit in Ufa, Russia. Officially, at least, the Russians have laid out an enormously wide range of priorities for their tenure running the international group. At least officially, there’s very little that’s not on the agenda. The real action, however, is in the financial domain. The highly-touted “New Development Bank” (previously called the BRICS Development Bank or simply the BRICS Bank) will be officially launched at Ufa. The bank was chartered last summer with $50 billion in initial capital – $10 billion of which was paid-in and $40 billion of which was “callable,” or available upon request. The bank’s creation has been widely interpreted by analysts, Russian and Western alike, as part of a concerted push-back against Western-led organizations such as the World Bank and the IMF. However it’s worth noting that the $10 billion of paid-in capital wasn’t provided in a lump sum but, rather, is due to be provided to the bank over a six-and-a-half-year timeframe. The bank’s founding members made an initial payment six months after the Fortaleza, Brazil summit last July, and will make a second payment 12 months after that, followed then by five additional annual payments. Consequently, while you often hear it described as a “$100 billion bank” this terminology substantially overstates the amount of capital that it currently can lend or even the amount that it will be able to lend anytime over the next several years. This doesn’t make the bank insignificant or unimportant. Simply by virtue of its mere existence it has already changed the contours of the debate about the functioning of international financial organizations. But one should be careful not to exaggerate the rapidity with which the bank will be able to step in to fill the practical, real-world lending gaps left open by the World Bank or the IMF. The “BRICS Bank” is not yet a functioning replacement for those institutions and its primary role so far has been political rather than economic. The summit in Ufa is also set to see the formal launch of the previously arranged “Contingent Reserve Arrangement” (CRA), a $100-billion pool of money that is designed to help alleviate exchange rate volatility. Much like the BRICS Bank, initial information about the CRA also suggests that its immediate short-term economic impact is likely to be quite muted. Focusing purely on the overall size of the pool of money ($100 billion) does not answer the most important question, which is how much each country would be able to draw from the fund if the need genuinely arose. Here the amounts on offer are much smaller: China is allowed to borrow up to $6.2 billion, Brazil, Russia, and India $5.4 billion, and South Africa $3 billion. Compared to the size of the respective economies, those figures are not enough to provide any meaningful support in the instance of a financial crisis. Now it is possible, and perhaps even likely, that these figures could be modified in the future. It would not be surprising if an agreement was reached to modestly boost these figures. But the initially low level of drawing rights is a testament to the caution and moderation with which the respective BRICS countries are entering into the arrangement. They are not in any hurry to throw money at each other. For comparison’s sake, IMF programs of the sort that the BRICS CRA is trying to eliminate are, on an absolute scale, usually quite a bit bigger: the IMF’s recent bailout of Ukraine, for example, was roughly $17 billion, while past assistance programs to large countries have often been somewhere between $30 and $50 billion. The CRA might be able to displace the IMF at some point in the future, but it will need quite a bit more capital in order to do so. On a political level, Russia’s goal will be to demonstrate that – contrary to US and European claims – it is far from “isolated” on the world stage. This goal will be achieved. Putin has extremely good relations with both the Indian and Chinese heads of state, and he will take full advantage of the opportunity to showcase Russia’s growing linkages with the large emerging economies. There is likely to be sustained rhetorical emphasis on the importance of multilateralism and the need for “peaceful resolution” of conflicts. It would be unlikely if the BRICS made any kind of formal endorsement of Russia’s actions with regards to Crimea, but neither will any of the governments in attendance voice any public criticism. 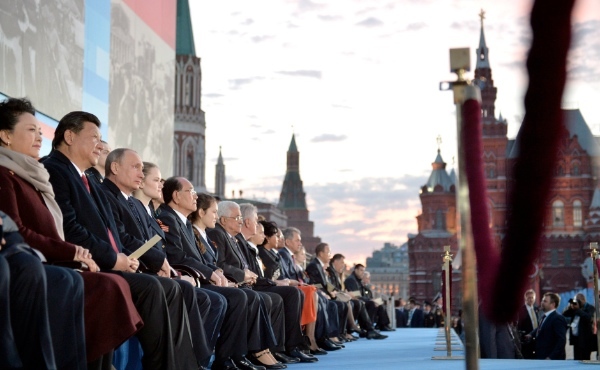 The contrast with Western depictions of Russia as a “pariah state” is hard to exaggerate. The BRICS summit is a good chance to reflect on some deep-seated structural changes in the world, the “rise of the rest” that has seen Western economic power rapidly eclipsed by the global south. Some of the work at the summit could potentially be very influential in future years if the development bank and the CRA work as intended. But the process of institutional change plays out over years and decades: while the various BRICS countries have a vested interested in transforming the global economic architecture, this will continue to happen at a very modest (sometimes glacial) pace. Interesting that this type of article is presented. Quite clearly its to pacify the fascist/Nazis in the Anglo/American sphere. No the world is anything but moving at glacial speed. Capital is rapidly being destroyed by the Fed/Wall street and sovereign nations know it. These institutes need to hit the road with full a good deal of maturity. The BRICS NDB has another motive (good one that is). If everything was hunkie dorey we would not see the anglo/american war machine together with its puppet NATO increasing its military preparedness. They will use all means to defend the USD printing press. Hey, if you were to take my criminal punch bowl away and I am evil by all means, WAR is the only solution for these people. Writings on the wall, only the deaf, dumb and stupid think things are just swell. Good to see the BRICS Post with so many more articles nowadays! Keep up the work. Por favor, editem suas publicações, ao menos, nas línguas dos países que formam o BRICS. Agradeço em nome dos respectivos compatriotas. Não tenho a certeza, mas penso que o inglês é uma das línguas oficiais da Índia e África do Sul. This is a very good alliance and one that will last… this is a good buffer for the failing IMF and Federal Reserves. A speeding up of when the NDB will replace the IMF/WB would be appreciated. Hopefully these initial restrictions will disappear fast as confidence in each other grows over time. I agree with the first post. Western money has been devalued and is on the verge of total collapse. The US led western style economies rely on the continued strength of the dollar which itself is only propped up by it’s continued linkage to Saudi oil. If this link is ever severed all excess dollars in global circulation will return to the US – The proverbial chickens coming home to roost. I thought everyone knew that money committed seldom arrives from the IMF because the US never coughs up and then neither do the other contributors. The IMF is a “shell of an empty office”, having nothing to give. Makes good press. Hate to see this crap here though. I would suspect that when the Chinese finish their CANAL and the petrodollar shrinks… things will accelerate to the speed of sound! ” Definite rumbles of distress would be heard.”. Readers can verify these in article- Stressful times ahead for world economy in 2015 and 2016 – published online last year on 2 June 2014 at Astrologyweekly.com. Mark Adomanis writes for Forbes, True/Slant, Salon, The National Interest and Foreign Affairs. Adomanis has focused particularly on Russian health and demographics, though he also closely follows emerging Russian political and economic trends. He feels that Russia often gets short-shrift compared to the other BRICS, and looks forward to providing comprehensive and fair-minded analysis. He received his undergraduate degree in Government from Harvard University and his M.Phil in Russian and East European Studies from the University of Oxford in 2009.